Growing up on the Adriatic coast of Italy, known for its obsession with great food, Angelo Tredicucci learned the time-honoured skill of artisan pasta making. The result is Pasta mia, a taste sensation of bronze-extruded pasta made from his family recipes, bringing the best of Italy to your table since 1994. Buon Appetito! Due to the filled raviolis being unavailable to review (as they wouldn&apos;t fair well on an hour long roadtrip after picking them up), I opted for the more flexible pappardelle. This pasta style consists of long, and thin but wide strips; a bit like a wide spaghetti I guess. 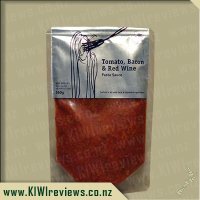 Feeling the packet, I could tell that this was not a dried pasta, and the product had a fair bit of malleability to it, which is great as it leads to a shorter cooking time in the kitchen. Opening the packet, I was surprised to see that despite the random look on the front of the pack, the pasta is actually split into two "rolls", consistent with the serving size for two main meals. As a single male, this is ideal as I always usually end up cooking way too much pasta. I cooked it as per the instructions, but found that I needed to cook it a little bit longer than directed, as I had to spend a fair bit of time, physically separating many of the strands that kept sticking together, creating patches of pasta that were not fully cooked through (an unfortunate consequence of not being dried pasta). Nevertheless, the product was still cooked in a much quicker time than with the usual dried pasta products. Pasta is a favourite in our house with the kids really enjoying macaroni and cheese or spaghetti bolognese regularly. The only fresh pasta they have ever tried has been filled pastas. I don&apos;t think they had ever seen pappardelle before. It is time I widened their culinary experiences unfortunately they weren&apos;t very keen when they saw the packet of Pasta Mia&apos;s Fresh Pappardelle. 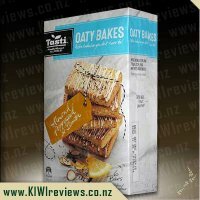 Looking at the back of the packet I was surprised to see it had such a short shelf life but this was explained by the list of ingredients: durum semolina, eggs and water. There are no preservatives or any other additives. It is all totally natural unlike many of the other fresh pastas available. The other thing I noticed was the easy cooking instructions. We decided to have the pappardelle on for a weekend lunch on a cold winter&apos;s day. We wanted a hot lunch but didn&apos;t want to be wasting time cooking. I was able to have lunch served within 10 minutes of walking into the house. The most time consuming thing was boiling the water. The packet had two distinctive nests but they were easily separated which enabled me to feed three people a light lunch. The pasta went very well with the Pasta Mia Tomato Bacon and Red Wine Sauce. It added a different colour, shape and texture. The pasta was also coated stightly with the sauce which gave more flavour to every bite. I found the pasta to be quite creamy. 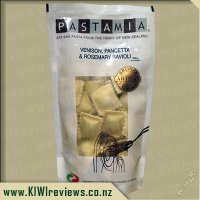 Although the pappadelle was enjoyable the ravioli was our favourite pasta from the Pasta Mia range. I have purchased ravioli and other stuffed fresh pasta products in the past, but often over look the other fresh pasta options housed in the chiller at the supermarket. Dry pasta is generally my go to. I also would never make pasta from scratch. This is because we had a work challenge one day, where we had to make spaghetti and ours came out horrible despite having people on our team who knew how to make pasta. So, fair to say I have a deep appreciation for anyone with the patience for such a task. I was interested to see what this pasta would be like and how easy it would cook up. Into a pot of boiling and salted water, I placed the two nests of pappardelle pasta. This is a wide, flat noodle looking pasta. While we had mostly success with cooking the other pasta products we tried from Pastamia, I was still nervous about it sticking to itself. But luckily I didn&apos;t have to worry at all. The pasta moved easily around in the pot and was easy to separate out into bowls when it came time to serve. Because neither of my kids enjoyed the pasta with a lot of sauce in the previous meals, I decided to play it safe with their meals. I added three or four strings of the pappardelle to their bowl, a side of the sauce we were using for this meal and then some grated cheese. My eldest happily ate her pasta with cheese and said that it had a good creamy flavour to it. She thought the pasta was funny because it was so flat and long. I think she really enjoyed the meal. Miss 3 on the other hand, did not. She ate one piece of the pappardelle before declaring it no good, and nothing I could do convinced her to try anymore. This was sad, and I do wonder if I should have somehow chopped it up into more manageable chunks for her again. But even when I did this after she said no more, she wasn&apos;t sold on giving it another go. My husband seemed to enjoy his bowl of pasta as it was gone in a flash. For me, the pasta&apos;s flavour was really nice. 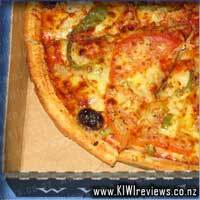 It had a creamy texture to it, despite the tomato based sauce it was in. I was surprised at how quickly I could cook this up for dinner and how fresh and home-made it tasted. It would make a wonderful entree to a dinner party as well. I think it has really opened my eyes to the possibilities of fresh pasta instead of dry stuff! 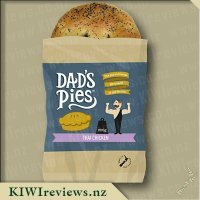 Thank you so much for the opportunity KIWIreviews and Pastamia. I have recently started to enjoy making homemade pasta. It is quite a process, but a fun activity to do with the kids. 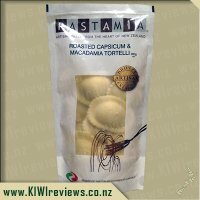 I now know how much work is involved in making it and the fact that it is so much better than the standard pasta we tend to serve in New Zealand homes. Unfortunately, there isn&apos;t always time to make my own pasta and it is great to see quality hand made pasta available through Pasta mia. 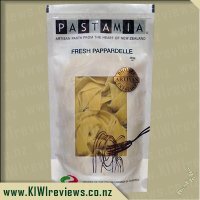 I was lucky enough to get a packet of Fresh Pappardelle to review through KIWIreviews this week. My family were excited to try it as pasta is a family favourite. I think the kids would eat it for breakfast, lunch and dinner if they were allowed to! When I took the two nests of pasta out of the packet, I instinctively smelled it. It smelled so good. I can&apos;t see myself doing that with a dollar pack of cheap dried pasta from the supermarket. Right from the moment I opened the pack of pappardelle, I knew it was a quality product. The pasta is fresh and is so easy to prepare. It only required a short time in boiling water in order to cook it. We found that we cooked it for a little longer than 4 minutes in order to get it cooked to our requirements. It stayed together beautifully and had a perfect al dente state to it. The homemade pasta that I make is usually a bit gluey and I am happy to say that the pappardelle didn&apos;t have a hint of gluiness to it! It moved around very nicely in the water and was easy to serve once it had been drained. I served it with Pasta mia&apos;s Beef, Lemon & Rosemary Pasta Sauce. The two went perfectly together. The pasta is a simple plain, pasta and the flavoursome sauce complemented it perfectly. We found that the 250g pack was enough to serve for a small entree for three adults and to children. As the packet suggests, it would only serve two main meals. All members of the family enjoyed the pasta and preferred it to any other previously purchased pasta. We found it so much more satisfying than the mass produced fresh pasta we usually buy from the supermarket. 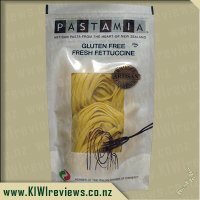 The pasta doesn&apos;t have any preservatives, artificial colours or flavours and therefore has a short shelf life. 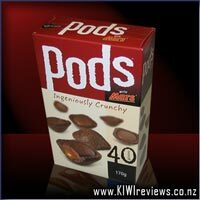 That it a small price to pay for the lack of nasties in the product. I would be happy to make this my pasta of choice, the only think getting in my way would be the price. With that in mind, I would have to reserve the purchase of it for special occasions. I could see that it would suit singles or couples who have a little more spare income to use on higher quality meals. This would be the base of a meal to impress. 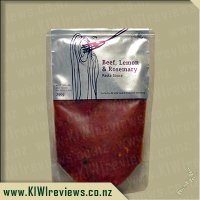 I was lucky enough to be given some of this pasta to review and by serving it with the beef, rosemary and lemon sauce by the same company, it meant for a very quick and easy, but quality, meal. However when I read on the packet that it would serve 3 for an entree or 2 for a main meal, I was concerned it wouldn&apos;t be enough to fill up our family of 3 (2 adults and a 6 year old). So I whipped up a few meatballs to go with it. As it turns out, I needn&apos;t have been worried about there being enough - there was plenty of pasta for the 3 of us, and as I had padded it out with a few meatballs, my husband and I actually have a small serving of pasta each for our lunches tomorrow too - score! I&apos;ve already reviewed the sauce so I will concentrate on just the pasta in this review, and it was delicious. To be honest I don&apos;t often serve fresh pasta at our house as dried pasta has that convenience factor as it keeps for so long, but this has made me realise that it&apos;s well worth going for some quality fresh pasta from time to time too. And there was no problem cooking it to perfection with the clear instructions on the packet, as it cooks so much quicker than dried pasta. 4 minutes was just right for us. This is more expensive than other fresh pastas, but I don&apos;t know how it compares in taste as it&apos;s been so long since I&apos;ve bought a similar product. 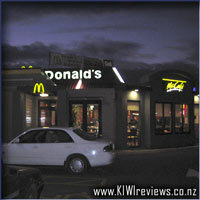 But for a quick and easy quality meal it definitely compares well to takeaways and is a much healthier option. 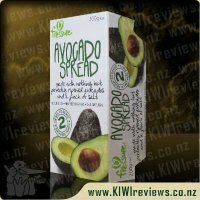 I&apos;d definitely buy this again and would happily recommend it if you are looking for a quality product. Pasta is such a simple thing to make, right? Well, maybe not... if you want it assolutamente perfetto... and really, who wouldn&apos;t? Sure, you can but it from the supermarket in a bag or box, but that is mass-produced by machines - it has no soul, no passion, and none of the tiny imperfections that give it depth and character. That&apos;s why hand-crafted artisan pasta is so much more than &apos;just pasta&apos;. The pack is simple, easy to spot in the chiller, and I was impressed to see it had been given a double heat-seal strip at the top to ensure maximum freshness and no air getting in to dry out the pasta. As for the pasta, it was wound into two single-serve nests, making it very easy to separate out and cook them individually. I was only planning of having one serving today, but after trying the combination of the pappardelle and the tomato, bacon and red wine sauce... well, it was a struggle not to cook the second portion up right away. As it was, I lasted 6 hours and by the time my stomach started to give notice it was looking for a refill, the pot of salted water was already heading for the stove. For the first portion, I simply placed the nest in the boiling water and left it to cook for 5 minutes, and while that did indeed cook nearly all of the pasta perfectly, I found some bits where the strips were stuck to each other didn&apos;t cook fully. Thus, for the second portion I teased the nest apart and made sure that there were no ribbons stuck together before gently lowering the pasta into the water to begin cooking. Because of that, it was ready a little sooner. Overall, a wonderful pasta with a great texture. Slight imperfections in the thickness and consistency gave it real character, and yet didn&apos;t affect the taste at all. It was a breeze to prepare, a delight to eat, and was as visually pleasing as it was tasty. 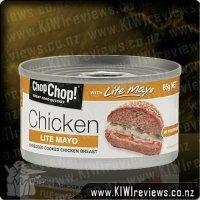 Despite the price-tag, which is fair for a hand made product if you think about it, this is one I will be looking to buy again any time I want to impress someone with a meal.